The US Centers for Disease Control and Prevention (CDC) reported on April 15, 2019, the number of people infected with Measles in the United States made the most significant jump so far this year with 90 new reported cases in one week. Presently, 555 cases have been reported which is the second-highest in the past 25 years. 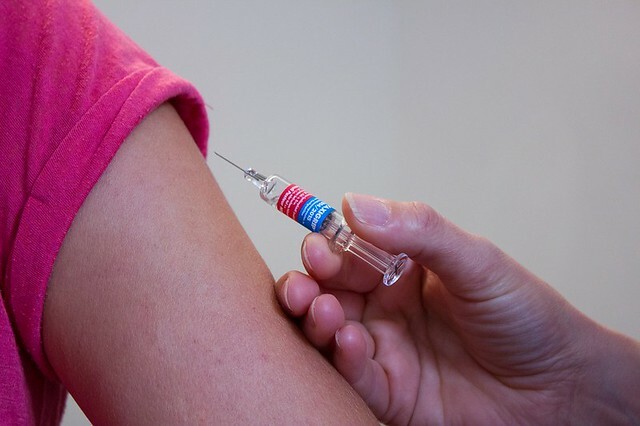 Dr. Nancy Messonier from the CDC said that she was worried about how quickly the outbreak of measles is happening, and it will not stop by itself. The World Health Organization (WHO) reported on April 15 that worldwide in 2019, there had been over 110,000 cases of measles. This has increased by 300 percent from the first three months in 2018. The data provided is conditional, and they think the people who have been diagnosed with measles are higher.. The WHO estimates only one in 10 cases of measles globally get reported to the organization. Ukraine has over 72,000 cases of the measles in the year which is the highest of any country. Madagascar and India with over 69,000 and 600,000 cases. WHO said that due to delay in reporting, data might not be up to date. Henrietta Fore, UNICEF executive director, and director general Dr. Tedros Adhanom Ghebreyesus, of the WHO, wrote in a CNN opinion piece on April 15 that by the time the reader finishes reading this article, 40 people, primarily children will be infected with the measles. One or two children out of 1,000 will die from measles. It can also lead to convulsions, intellectual disabilities. Experts say the outbreak is so large this year due to the anti-vaxx movement. The 20 states reporting measles this year are Washington; Texas; New York; New Jersey; New Hampshire; Nevada; Missouri; Michigan; Massachusetts; Maryland; Kentucky; Indiana; Illinois; Georgia; Florida; Connecticut; Colorado; California; and Arizona.